G4 Drilling is an Abitibi, Quebec, Canada based company, created in 2006 and is part of the G4 Holding Group (G4). We are active in Canada and Mexico in 3 drilling sectors. Our assets include 70 drilling machines covering diamond drilling (surface and underground), petroleum exploration drilling and drilling-blasting operations for open pits. Garage Supply specializes in facility design, maintenance and repairs serving all provinces and territories. Our expertise is in vehicle lifts, state of the art washes, heavy duty garage equipment and cement work. We have construction, service and electrical divisions to meet all your installation needs at competitive prices. Founded in 1987, Garier designs and manufactures heavy machinery attachments that make a difference. Our expertise has developed and matured over the years and our policy has always remained the same: Offering superior products that focus on performance and innovation. Adopting a customized approach and providing impeccable service at all times. Our sense of commitment is as high as your expectations. GFG Resources is a North American precious metals exploration company focused on district scale gold projects in tier I mining jurisdictions, Ontario and Wyoming. In Ontario, the Company owns 100% of the Pend and Dore gold projects, two large and highly prospective gold properties west of the prolific gold district of Timmins, Ontario, Canada. The Pen and the Dore gold projects have the same geological setting that hosts most of the gold deposits found in the Timmins Gold Camp which has produced over 70 million ounces of gold. In Wyoming, the Company controls 100% of the Rattlesnake Hills Gold Project, a district scale gold exploration project located approximately 100 kilometres southwest of Casper, Wyoming, U.S. The geologic setting, alteration and mineralization seen in the Rattlesnake Hills are similar to other gold deposits of the Rocky Mountain alkaline province which, collectively, have produced over 50 million ounces of gold. We customize to your needs Mining Projects, Construction, Drilling & all other projects. Storage containers with trays for oil, chemicals, Etc. Call for Quote (705) 648-5535 ask for Gilles. Glencore is one of the world’s largest globally diversified natural resource companies and a major producer and marketer of more than 90 commodities. Our operations comprise around 150 mining and metallurgical sites, oil production assets and agricultural facilities – supported by a network of more than 90 offices located in over 50 countries. We employ approximately 160,000 people including contractors and we provide people with the opportunity to develop and grow their expertise and the confidence to grow their careers. 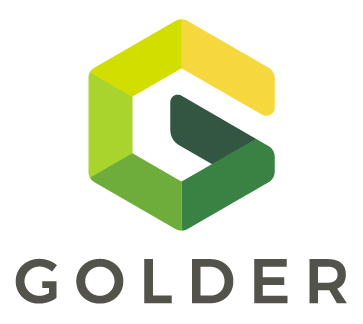 From pre-feasibility to mine closure, Golder thrives on the challenges that mining presents. Our team of over 1700 professionals in Mine Water, Mine Waste, Mine Environment, Mine Infrastructure and Mine Engineering, Stability, and Geology have a long history of delivering excellence to our mining clients across North America and the world. Stop by our booth to learn more about the Golder difference. GOWEST GOLD LTD. is a Canadian Gold Company Focused on Resource Growth & Near Term Production in the Highly Prolific Timmins, Ontario Gold Camp.